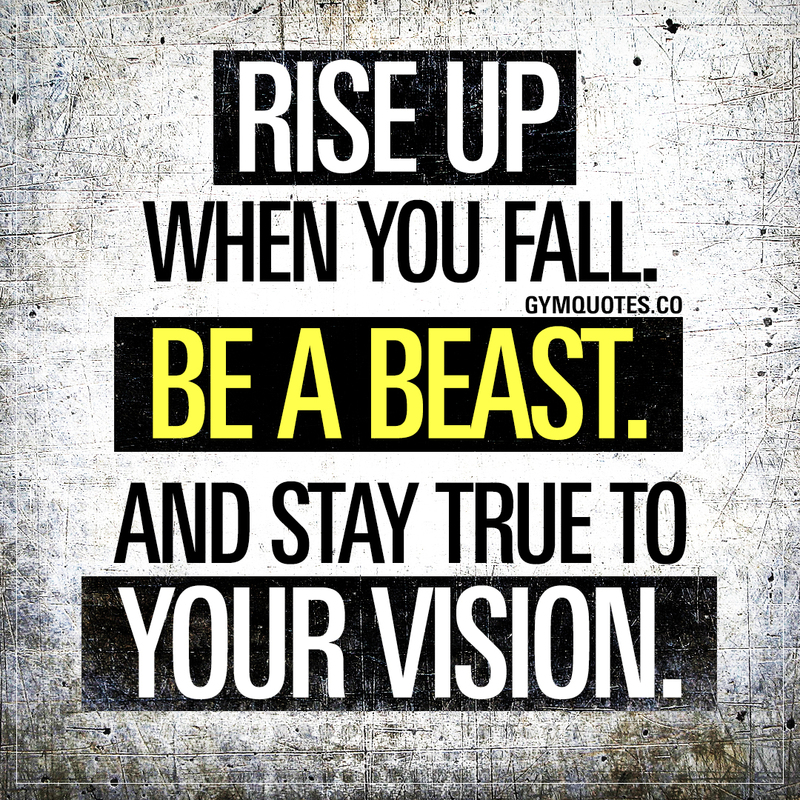 Gym motivation quote: Rise up when you fall. Be a beast. And stay true to your vision. Rise up when you fall. Be a beast. And stay true to your vision. We all fall down from time to time. We all experience struggle and hardship. The important thing is to rise up when you fall. I’ve fallen down so many times I can’t even remember. Worked my way up to the top of my own mountain only to find myself falling down to the bottom. Gone from being on top of the world to being in a dark place. From happy to sad. From strong to weak. Always risen though. Always. And always stayed true to my vision. Because that’s what you do. You rise up when you fall. You gotta be a beast and fight for yourself and for your dreams and goals. And always stay true to your vision. Train hard. Work hard. Rise up. Get ready. It’s time to kill those weights again. Today, rise up. Push yourself to the limit. Earn it. It’s time to rise up. Time to work. Time to chase down your dreams. Rise up. It’s time to murder those weights and get those gains! Please do join our FREE newsletter! Packed with exclusive quotes and articles about fitness, training and health!